frightening. Suddenly, they are in an unfamiliar environment with new sights, sounds and smells. They may feel overstimulated by all of these new senses and become fearful. Fear is sometimes expressed through behaviour rather than words, especially if someone’s language abilities have been impacted by dementia. This is sometimes referred to as “responsive behaviours”—someone is responding to their environment and it is evidenced in their behaviour. It can take time and one-on-one attention to decode expressive communication. 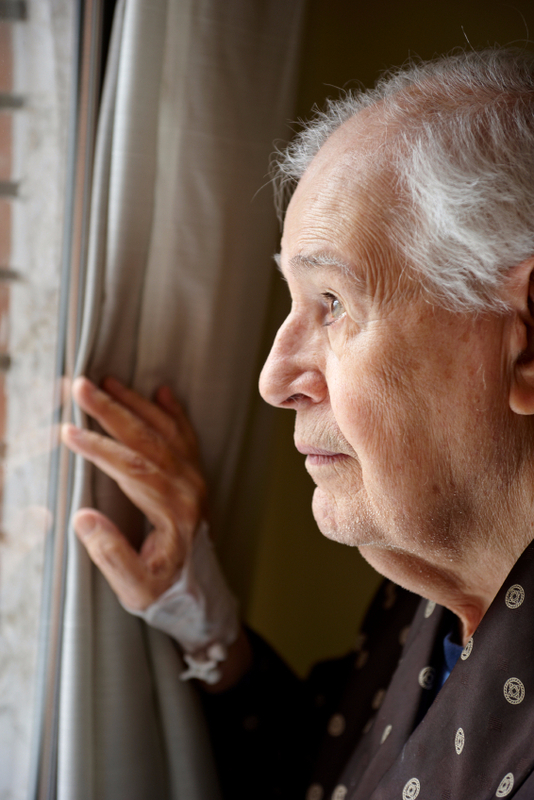 Staff in a retirement home, long term care centre, or hospital may not be able to provide the exclusive attention and care to help determine what your loved one is expressing. A Warm Embrace caregiver offers the time and attention to help your loved one feel heard and understood. Another trigger for uncharacteristic behaviours is boredom. All humans have a sense of purpose, a feeling that there is something they ought to be doing. Part of the reason that we enjoy a vacation so much is that we get to put our sense of purpose on hold—we don’t feel that we must be doing anything at that particular moment! Even on vacation though, you know that you will be returning to your regular lifestyle, full of demands, with a focus on productivity and accomplishment. 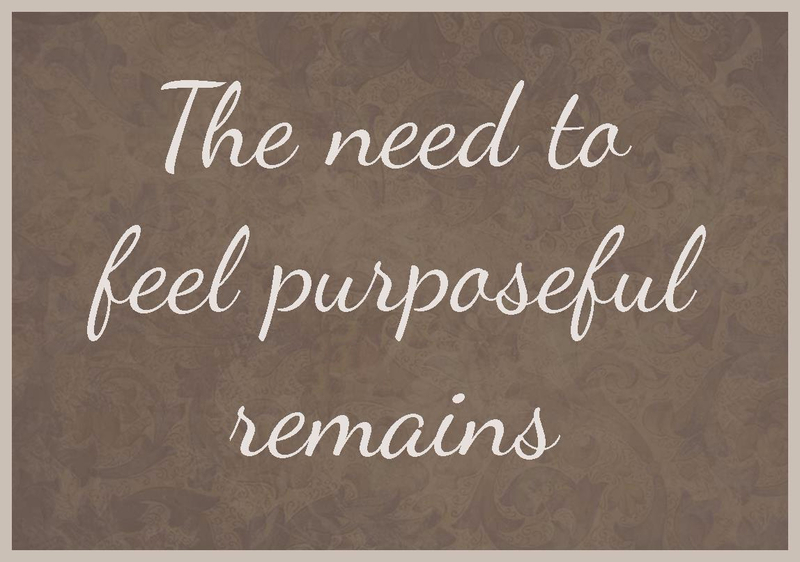 For someone with dementia in a nursing home, this sense of purpose is diminished. The need to feel purposeful remains, but they are unsure of what they are supposed to be doing. If that need is not fulfilled, they will create something to do! Sometimes, the activity that they create is at odds with what staff would prefer (ie: emptying all the garbage cans in the wrong places), or at odds with other residents’ needs (ie: rummaging through the drawers in other people’s bedrooms). Warm Embrace caregivers engage clients in meaningful activities, creating purposeful interaction that people with dementia are seeking. 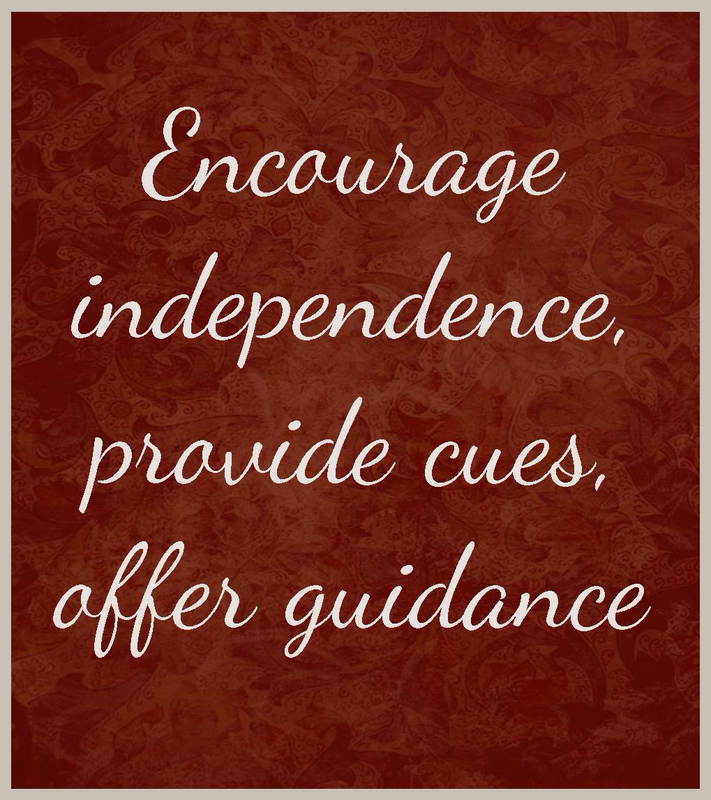 We encourage clients to be as independent as possible; that is part of our philosophy of care. We aim to provide cues and offer guidance with each step of a sequence, rather than just rushing to provide care. It’s okay with us if it takes twice as long to accomplish a task—if your loved one can do more of that task it is worth the time it takes. Interpreting expressive communication and responsive behaviours takes time and patience and that’s exactly what Warm Embrace caregivers can provide. One-on-one companionship can reduce the fear associated with a new environment and provide a stabilizing presence to help every day be a better day.